Most organic nuts are sprayed with organic-approved products. Just harvested, these are wild-harvested and not sprayed at all. They are not certified organic, but they are organic practice, unsprayed, and certified pesticide-free. Natives have the richest pecan flavor. No distributor warehouse time. Always Fresh. Kept in ideal conditions, shipped straight from us. Date bagged and best by on each bag. 1000's of happy customers. Please don't be an anonymous stranger. Contact us right away with any concerns or questions and we will resolve it with you. Always fresh. No distributor warehouse time. Kept in ideal conditions, shipped straight fom us. Date bagged and best by on each bag. If you have any questions about this product by PecanShop.com, contact us by completing and submitting the form below. If you are looking for a specif part number, please include it with your message. Diamond Chopped Pecans, 8 Ounce -- 12 per case. 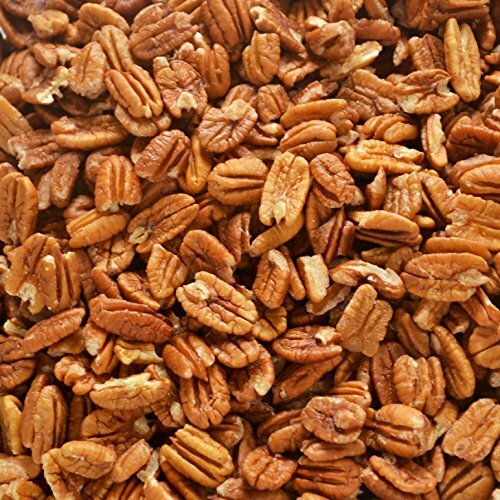 Fresh Shelled Texas Native Pecan Halves - Certified Pesticide-free and Wild-harvested, Bulk 30 Lb.